Promoting your research online is vital if you need to provide evidence of the online engagement for your work, particularly when applying for promotion or tenure and funding. In this post I’ll be sharing the tips as well as the tools you’ll need to spread the word about your work and efficiently manage your online reputation. Like all good plans it’s best to start by thinking about who you want to reach! Begin by thinking about which researchers and other audiences will be interested in your work; the disciplines they work in and where they can be found. Are they within your institution, or somewhere further afield? a free downloadable plugin for your internet browser. 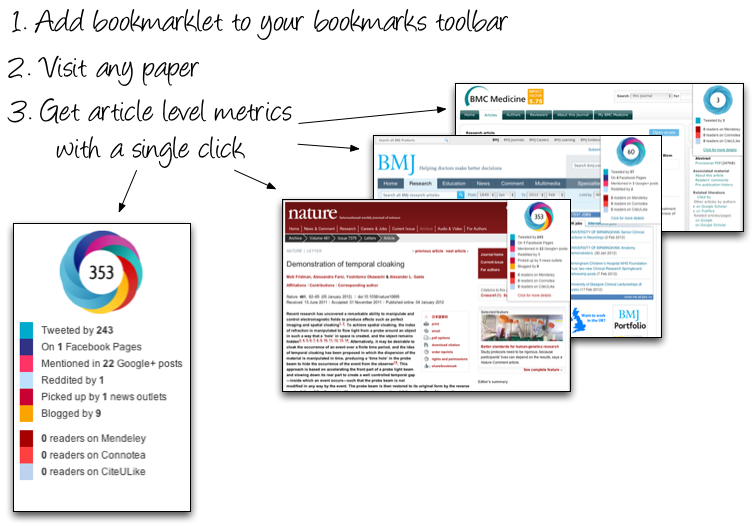 The bookmarklet enables you to click through to the Altmetric details page for any article that has been tracked by Altmetric. You can then browse mentions from all of the sources to see who is talking about the paper, where they are sharing it, and why. You might want to consider writing a plain English summary of your work, focused on making it more accessible to a wider audience. This will provide a good lead in to your research and encourage more people to read your paper. Publishing an article doesn’t tell the full story of your research! You can make, images, files and other outputs associated with it available through a digital repository such as Figshare. 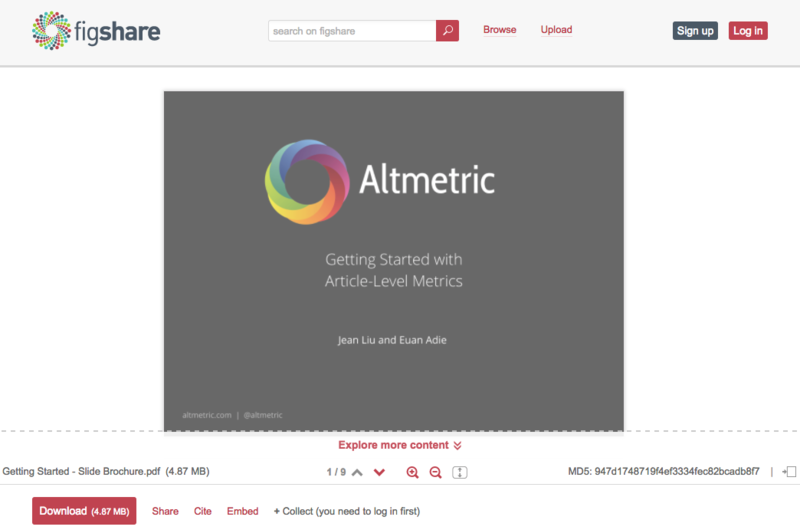 By uploading your research you can also assign it a unique identifier, making it much easier for people to cite and for services like Altmetric to track engagement for! Post links to your work via any social media accounts you have. You could also focus your promotion around any significant events that are happening, such as conferences that may be interested in your research topic, by using the event’s hashtag. This may spark a discussion around your work! 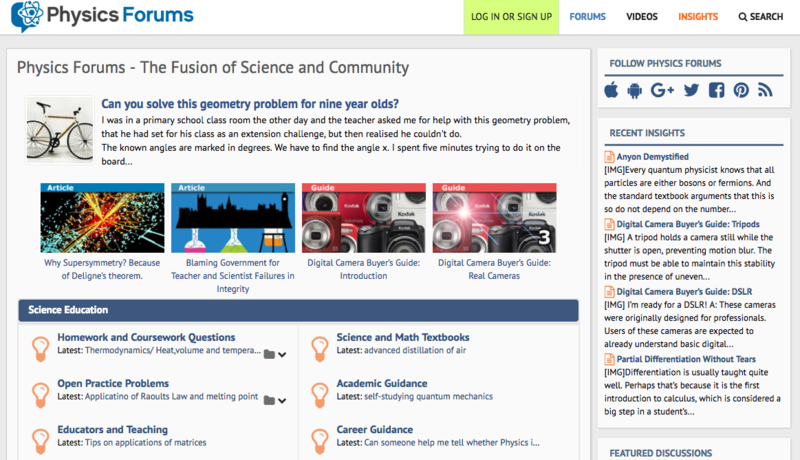 As well as using your own social profiles you may find you get more engagement from using your department’s accounts. , or anyone who has big following on Twitter that may be interested in posting about your work. It’s worth a try and could give you a boost in readers as well as getting your work talked about. It might seem obvious, but adding a link to your work to your email signature is a must! By doing this you are ensuring that your contacts are kept up to date with your latest research. If you feel your work could benefit from an extra promotional push why not visit your Research Office, as they may be able to help your research get seen by a wider audience. They might have access to channels such as email lists, or have contacts that could be used to get your research noticed by news outlets or government agencies. Having your research mentioned on higher profile websites will increase your readership and look great on future applications. Providing the research office with some key points of why your work matters and what the key outcomes were can be particularly useful here – and help them build a pitch for a broader audience. Register for an ORCID ID so that you have a unique identifier which will tie you to your work and distinguish you from other researchers. 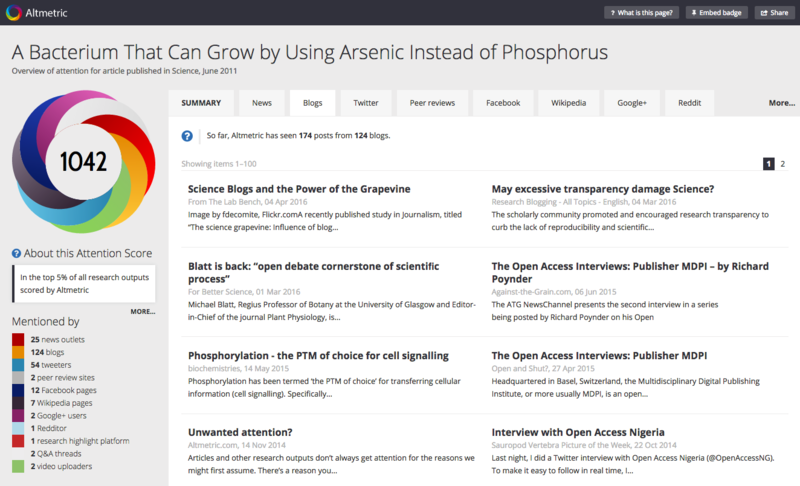 It’s easy and free and will come in useful for any manuscript or grant submissions. It’ll also make it much easier to ensure you get the credit you deserve for all of your research outputs! Having your work freely available to read will mean that your research may reach a wider audience and see a higher level of citations. 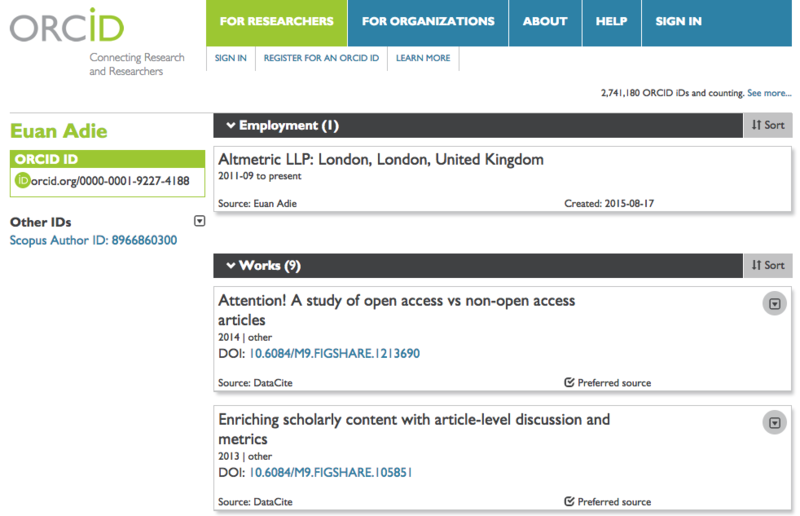 There are two options for publishing Open Access: you can either deposit your work in an Open Access Repository (Green) or publish in an Open Access journal (Gold). If you would like to publish your research in this way visit your Research Office who will be able to advise on the best course of action. Preliminary studies have shown that OA articles get more attention online than those published behind a paywall, and it makes sense! Chances are people are more likely to share or talk about something their followers will be also able to access. 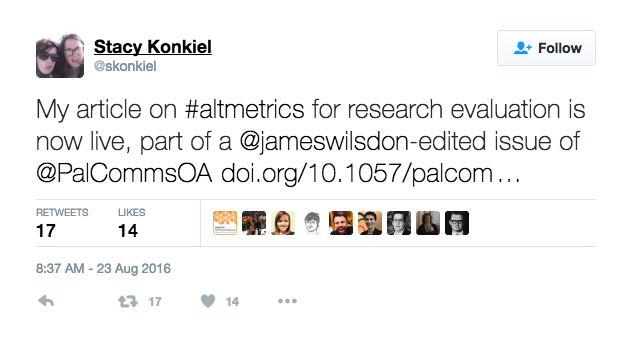 Make sure that whenever you mention your research online you use or link to a page that includes your work’s unique identifier, this can be a DOI, arXiv ID or PubMed ID. 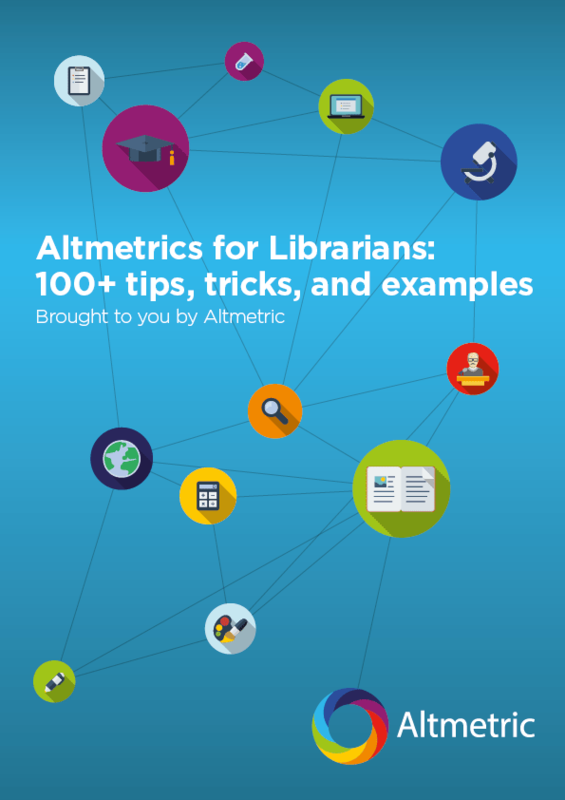 This is vital to ensure that your work is tracked by us at Altmetric so that you can keep on top of the conversations surrounding your research. If you’d like to read more about promoting your research online why not download our ‘Tips & tricks: promoting your research online’ guide or if you have any promotional tips you’d like to share for please post them in the comments section below.